Now, that’s the (holiday) spirit. 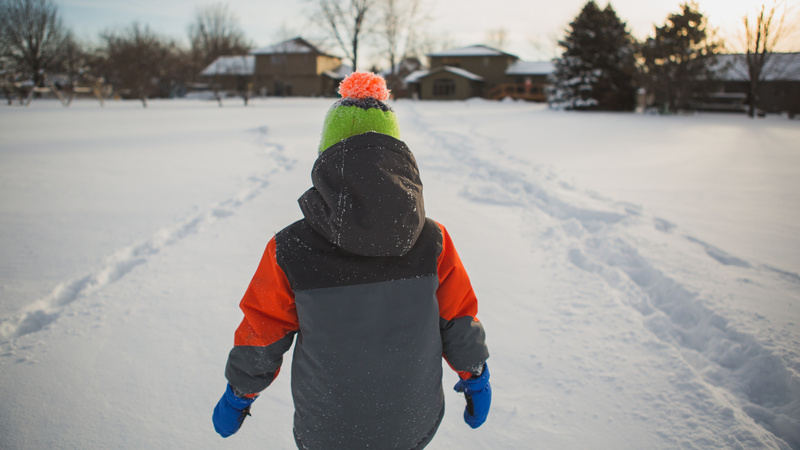 Toronto resident and private refugee sponsor Rebecca Davies shared an endearing video of two East African refugee children playing in the snow for the first time. It’s so heartwarming even Ebenezer Scrooge would be forced to crack a smile. The clip shows a darling brother and sister bundled in winter coats and boots giggling as they play together in a light snowfall, running to catch snowflakes and kicking around a toy ball. But it’s not just the wintry climate that’s making them so gleeful. One Twitter user pointed out that the mother could be heard in the background saying “dance and be happy” in Tigrinya. If that doesn’t make your Grinchy heart grow three sizes, we don’t know what will. According to CNN, the kids recently arrived in Canada with their mother and two other siblings after living in a Sudanese refugee camp. The move was made possible by refugee sponsor group Ripple Refugee Project and has been wholly embraced by Canadian Prime Minister Justin Trudeau, who retweeted the video with a kind message. According to Statista, in 2016, Canada took in more than 23,000 refugees, many of whom came to the country through private refugee sponsorships similar to the one Davies used to help bring these children to Toronto. Canada offers a path to permanent residency for refugees, and in 2017, the country reports it granted residency to 286,000 people, 44,000 of whom were resettled refugees or others protected under humanitarian considerations. Perhaps unsurprisingly, The Guardian reports the number of Americans filing refugee claims in Canada increased dramatically in 2017, shortly after Trump’s inauguration. Trudeau’s and Davies’ openness to refugees is a stark contrast to the Trump administration’s more hard-line stance on refugees seeking asylum in the United States, specifically those currently making their way from Central America. In fact, the U.S. recently announced it would cut the number of refugees allowed into the country in 2019 to 30,000 people, a record low according to The New York Times. Hopefully, videos such as the one above will demonstrate to Americans that refugees and migrants aren’t scary; they’re simply people looking for better lives for their families and a chance to try new things, like dancing in the snow.